Stitch-bonded Fabric, is made from 100% Recycled PET. 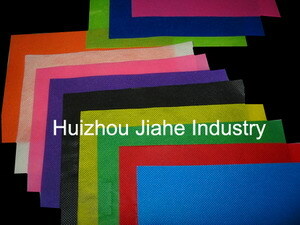 JiaHe Industry Co., Ltd. The professional manufacturer of non-woven fabric, which is holding 3 German production lines, by the requirement of customers, we also set up a printing workshop, and flame retardant processing workshop. We are devote to establish a long term relationship with our customers.